I met Anu Yadav through mentions of her play "Meena's Dream" on Washingtonian, Washington Post. It was great to connect on Twitter and then get an opportunity to see the play at the Round House Forum Theatre in Silver Spring, MD. 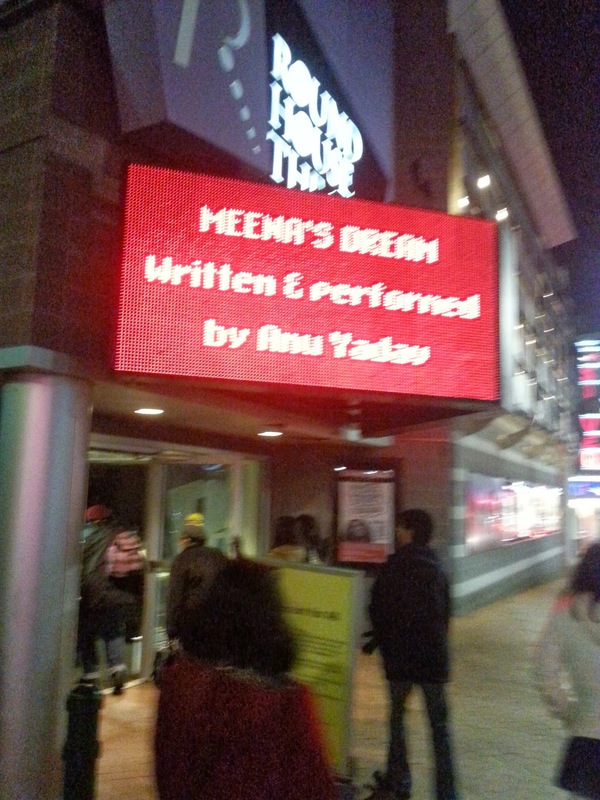 Meena's Dream produced and performed by Anu Yadav with music from Anjna Swaminathan, Rajna Swaminathan and Sam McCormally just ended its world premiere at the Round House Forum Theatre in Silver Spring, Maryland last Saturday (January 18th 2013). The organizers have a Indiegogo project that will help them take Meena's Dream on the road and produce a video. Patrick Crowley directed the world premiere at Forum Theatre. 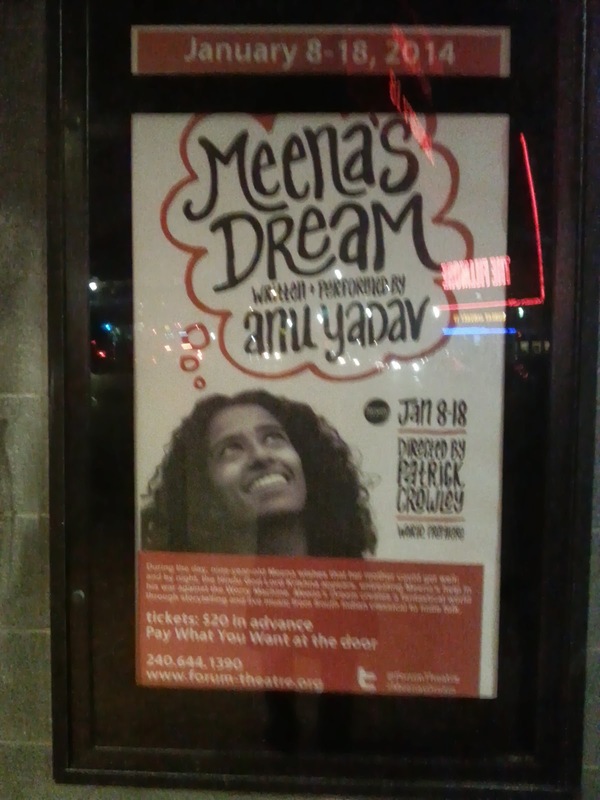 The Indiegogo project MEENA'S DREAM National Tour & Future Life has already raised $83339 with a goal of $16k. Hope you will consider supporting this project.